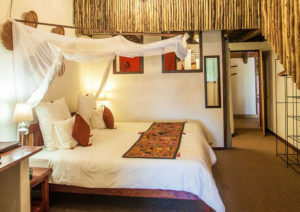 The Garden Lodge, is set on the banks of the Chobe River, and is some 70 kilometres from Victoria Falls, and 16 kilometres from Kazungula (the meeting point of Botswana, Zimbabwe, Namibia and Zambia). The lodge is owner-managed, and has been kept to a more intimate size, with 4 double rooms, and 4 family units. 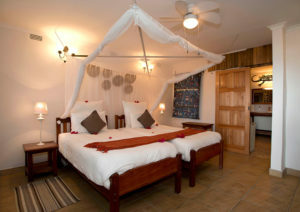 Each room and unit has en-suite bathrooms. 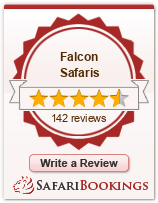 Accommodation also has private verandas, which overlook the Chobe River. The lodge boasts a beautiful garden, where, amongst others, banana and paw paw grow in profusion, and birdlife is diverse. The lounge and dining area are furnished with locally produced goods, and meals can be enjoyed under thatch, or outside, next to the swimming pool. For breakfast you have the choice of Continental or English, whilst lunch tends to be an extensive buffet, with a choice of hot and cold dishes, salads and cheeses. Dinners are a little more formal, and guests sit at one table, allowing for some interesting conversations. There is an upstairs bar, which also overlooks the river. Activities are by vehicle and boat – in the Chobe National Park. Although it is more common to have morning game drives, and afternoon river cruises, the Lodge likes to be a little more flexible. Game viewing is good, with elephant and buffalo being particularly prevalent. In addition, there are numerous antelope species, along with lion, warthog, and numerous birds. 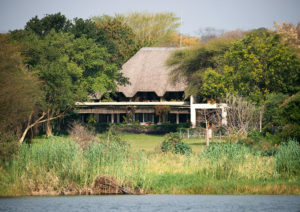 The Chobe River is a tributary of the Zambezi River, home to the famous Tigerfish. The Lodges supplies all the tackle needed to catch these amazing fish, but respectfully request guests to practise a policy of catch and release. Guests seeking an insight to tribal life will appreciate a mokoro (a traditional dugout canoe) trip to villages in neighbouring Namibia. Your guide will take you from Botswana to Namibia by mokoro and on foot through the villages. He is a local and will enjoy the opportunity to explain village life and traditional beliefs and customs to you.